Wait. 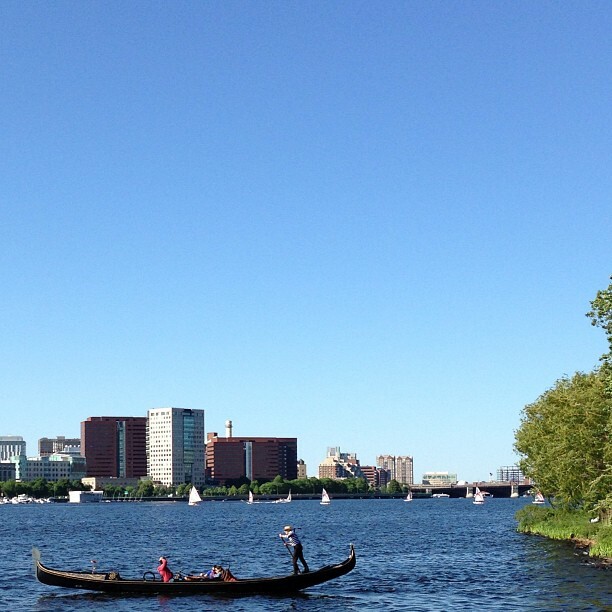 Is this a gondola on the Charles river? Yep. Imagine my surprise when I saw it. Monday, Memorial Day, was a beautiful day here in Boston, so we walked to the river and sat by one of the piers. When we looked to the right, there it was, a gondola and a gondolier! So I researched it online and apparently, these gondolas are made in Venice and shipped to Boston. They are authentic gondolas! And there are many tour options. Would you go for a ride?